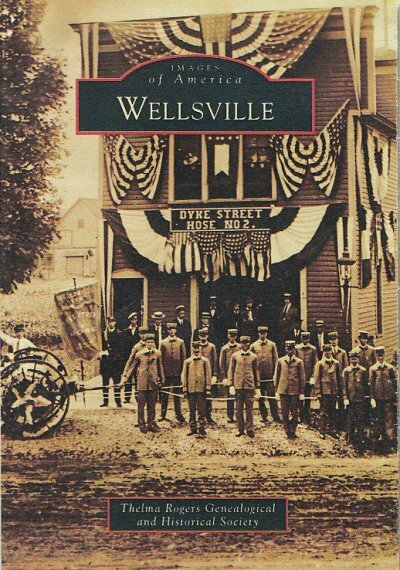 Located just a few miles north of the Pennsylvania border, Wellsville was established in 1855, making it a relatively young town in comparison to others in New York. When the Erie Railroad began passing through Wellsville in 1851, local tanning and lumber concerns gained much larger markets, and in the next 10 years, the population grew fourfold. The discovery of oil in 1879 brought even more people to the community, nestled within the rolling hills of the northern reaches of the Appalachian Mountains' Allegheny Range. George "Gabby" Hayes was as at home on the stages of Wellsville as he was on a Hollywood screen, and William Duke, world-famous trainer of the 1925 Kentucky Derby winner, Flying Ebony, called Wellsville his home. In addition to its steam turbine and heat recovery industries, Wellsville hosts a vibrant and growing campus of Alfred State College. To create this book, town historian Mary Rhodes gathered photographs from the Thelma Rogers Genealogical and Historical Society to present the growth of the town through its many businesses and families.